Shirley M. Replogle, 92 of Goshen, passed away on Wednesday, Nov. 28, 2018 at Greencroft Healthcare Center. She was born Sept. 24, 1926 in Mishawaka to Wayne and Ida Peggy (Anderson) Replogle. Surviving are nieces and nephews and a friend Mary Peachey. She was preceded in death by her parents, two sisters, Karen Fergison and Doreen Danton and a brother, Daniel Replogle. 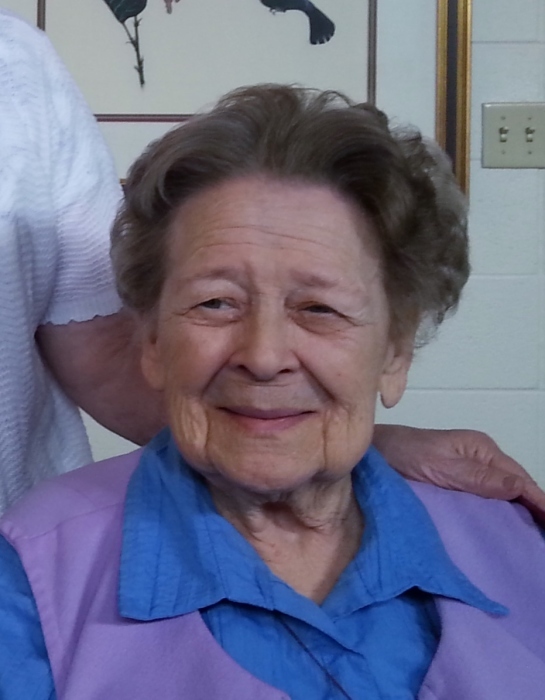 Shirley graduated from Elkhart High School in 1944 and retired from the Elkhart Police Dept. as a clerk in the detective bureau and had previously worked at the Selmer Company where she made saxophones. She was a member of Cornerstone Baptist Church and enjoyed music and literature. She served in the U.S. Army as a cryptographer in the 1950’s. A service of committal will be held at 2:30 pm Saturday at Stemm-Lawson-Peterson Funeral Home, Elkhart with Rev. Thomas Wright officiating. Burial will be in Adamsville Cemetery.